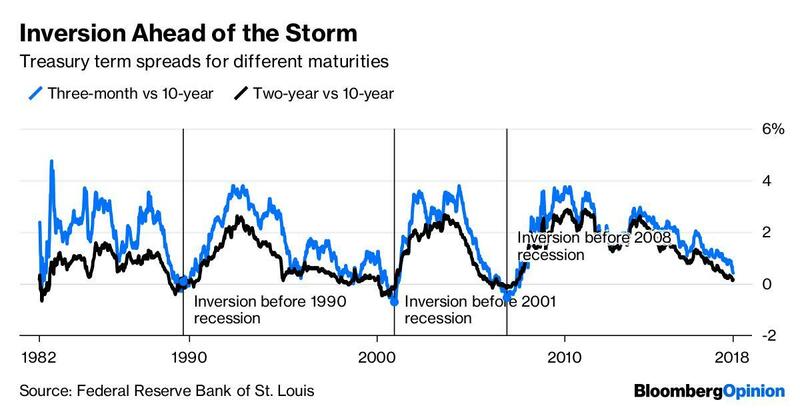 And here is Bloomberg showing how the yield curve inverted in 1989, in 2000 and in 2006, with recessions prompting starting in 1990, 2001 and 2008. 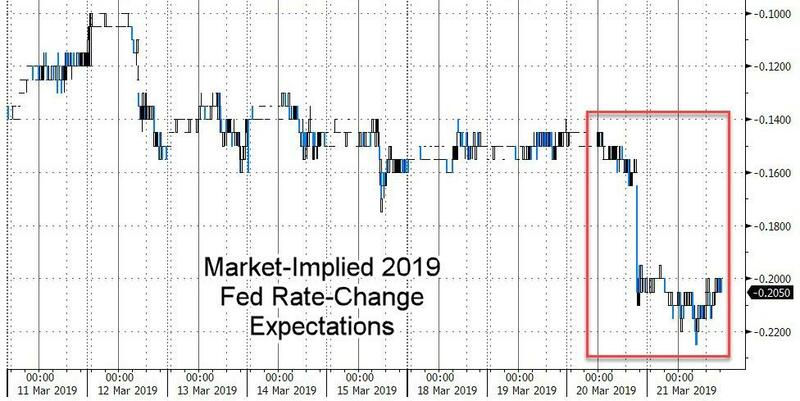 This time won't be different. 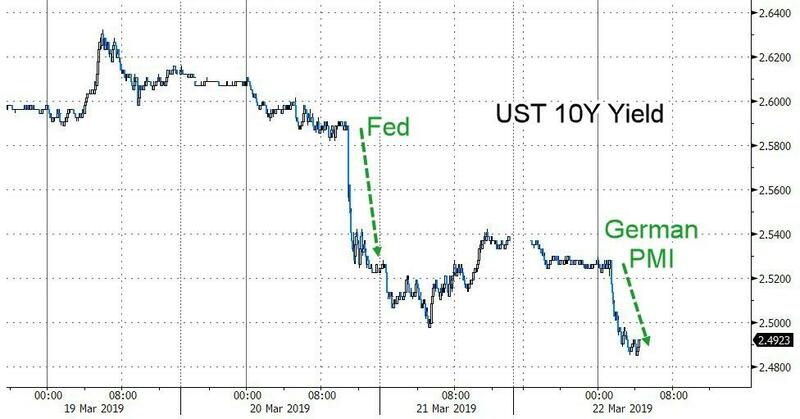 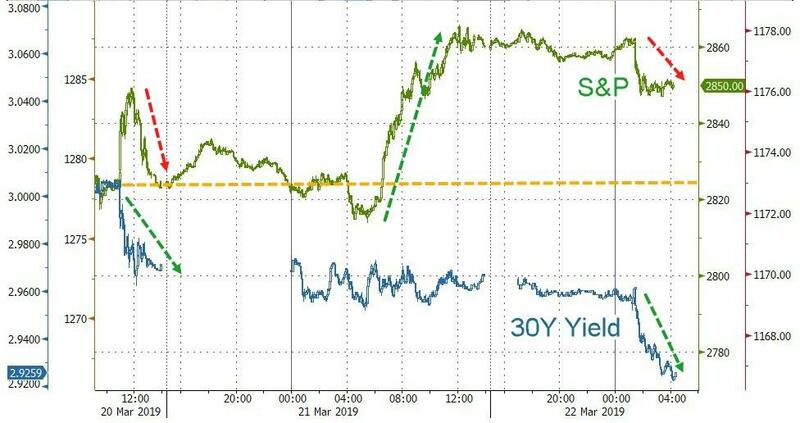 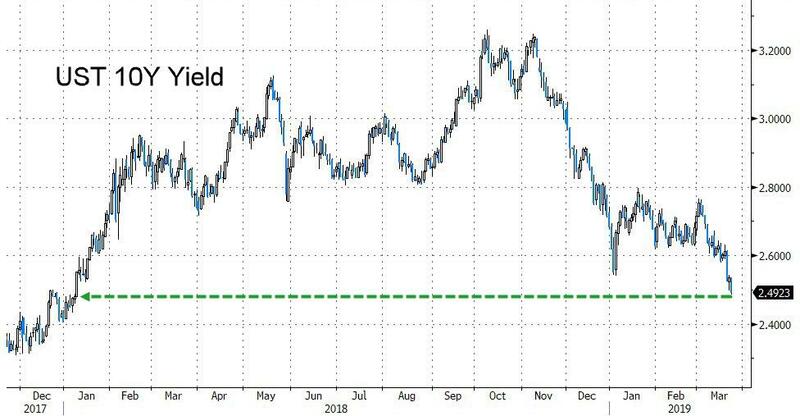 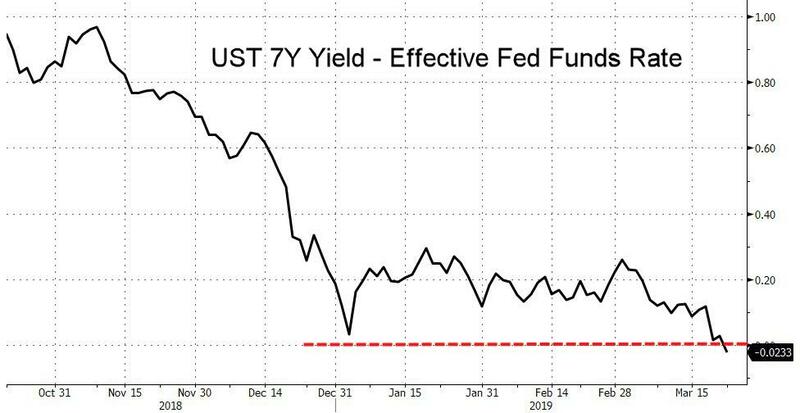 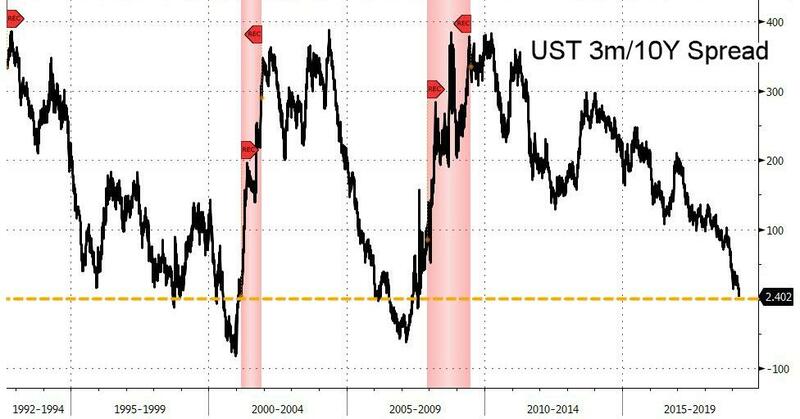 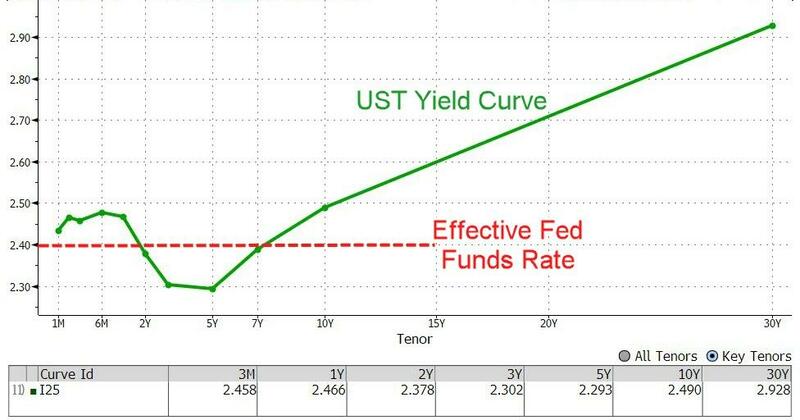 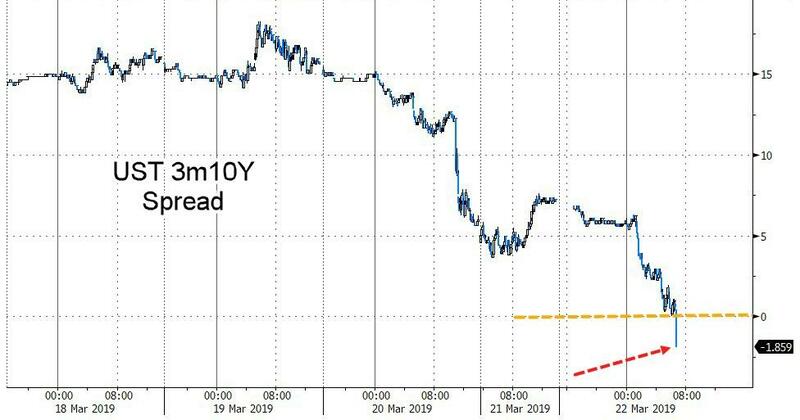 On the heels of a dismal German PMI print, world bond yields have tumbled, extending US Treasuries' rate collapse since The Fed flip-flopped full dovetard.